MANDATORY ENTRY - Just tell me you want to win!! Leave me your email address! Giveaway Ends 10/31!! Sorry USA only! Please enter me!! 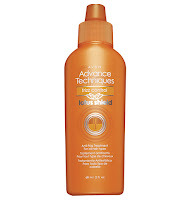 I would love to win this product:) Looks like a great way to add some shine to your hair. Thanks! Became a friend on FB. You ROCK! Let me know if the SSS Bar Soap ever comes back in stock. I'd love to win! My hair is frizztastic. My hair is not naturally curly. It's naturally frizzy! I'd love to try this! i liked you on f.b. Yes, I want to win. And my hair wants me to win. I totally want to win. I am a new follower! Would love for you to check out my blog and follow back! I LOVE those hair extensions! My biz site also has great recipes! Anything to beat the FRIZZ in the winter~ This product may be the answer! I have registered to receive email specials. I have subscribed to get posts from you thru emails. Follow you thru Networked Blogs. I'm a new follower. Love your blog.